Tiny Mushroom A short post about cheap PS2 games. 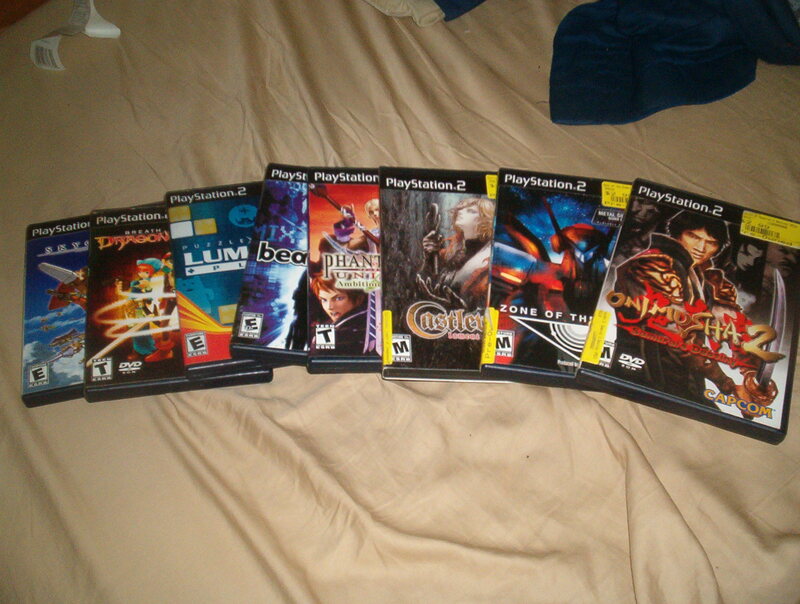 A short post about cheap PS2 games. I'm Ana and I approve of this post. :3 I was looking through the bins the other day and found some nice things. Unfortunately I didn't have any monies on me. This is Locke, and I'd have to agree. Probably not surprising that like 99% of the PC/PS2 PSU community is PC... I wonder if anyone else does PS2 beside me and Itachi... and sometimes you? i'm playing ps2 most of the time now. I need to switch back to pc to take pretty pictures. Well in comparison the PS2 version of psu fares pretty bad next to the other versions. But yeah, I think 360's taken ps2's thrown as the gamesystem the average joe owns.